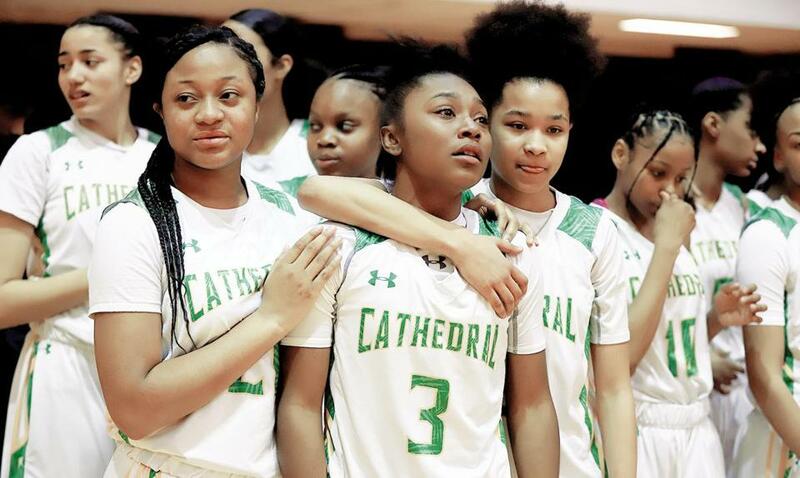 Cathedral players were emotionally spent after winning the Div. 4 state title. WORCESTER — With 37.5 seconds left and the game all but decided, Cathedral senior guard Amani Boston checked back in for the final time of her high school career. 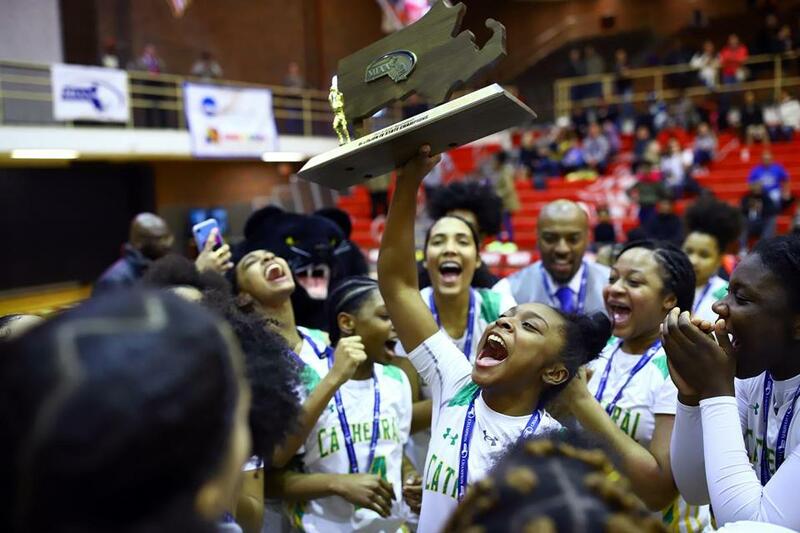 The Panthers cruised to a 65-36 win over Hopkins in the Division 4 state championship Saturday at WPI, but Boston’s final time touching the court was even more meaningful because she got to share it with junior Ariana Vanderhoop. Vanderhoop missed the entire season with an ACL injury, but entered the game in the waning moments with Boston by her side. The duo has played together since they were 9 years old. 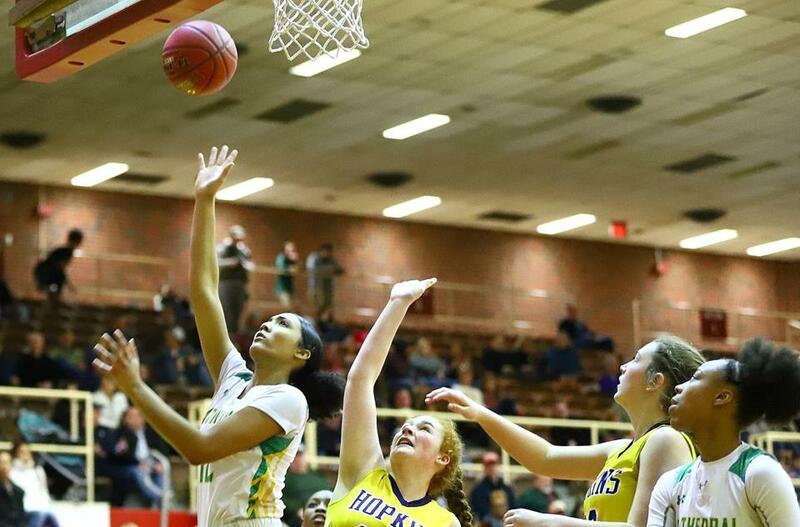 Boston fed Vanderhoop one final time, and although the shot missed, Boston’s near-assist capped a stellar career for the Southern Connecticut University-bound point guard. Cathedral's Amani Boston beats Hopkins’ Sara Beauchamp to a loose ball in the first half. After falling in the South sectional final last year, the Panthers (22-2) got back to their winning ways with their third state title in four years. Cathedral never trailed. Up 11-8 after the first quarter, the Panthers started the second with 11 straight points. Ahead, 32-13, by halftime, it was clear the Panthers rule Division 4. Cathedral only truly lost one game, but an overscheduling issue added a second loss to its MIAA seeding record. 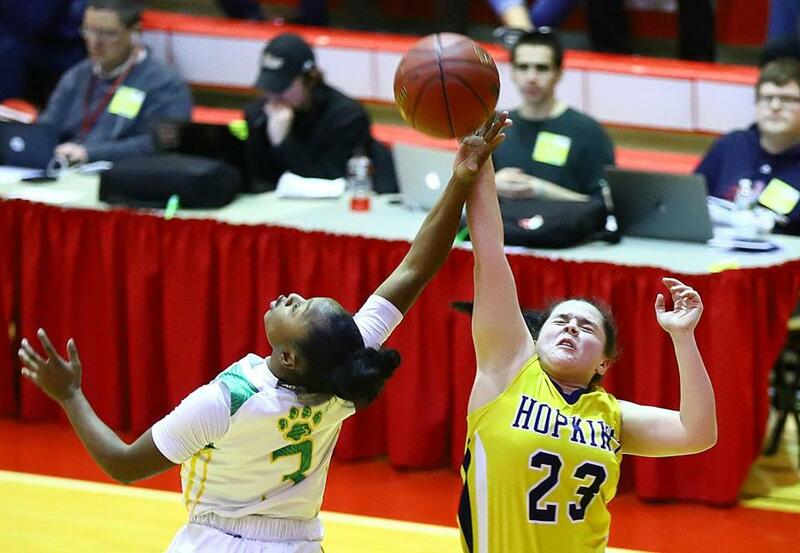 Their lone defeat came at the hands of Division 1 state champion Braintree, 73-68, on Feb. 18. Since then, the Panthers closed the season with six straight wins, all by at least 15 points. Along with Boston, Dejah Jenkins and Kaiya Duverna graduate. Cathedral players had plenty to shout about while hoisting their state championship trophy. Cathedral's Dejah Jenkins, who finished with 7 points, looks to pass the ball. Cathedral's Sophia Fontaine finishes off a layup for 2 of her 10 points. 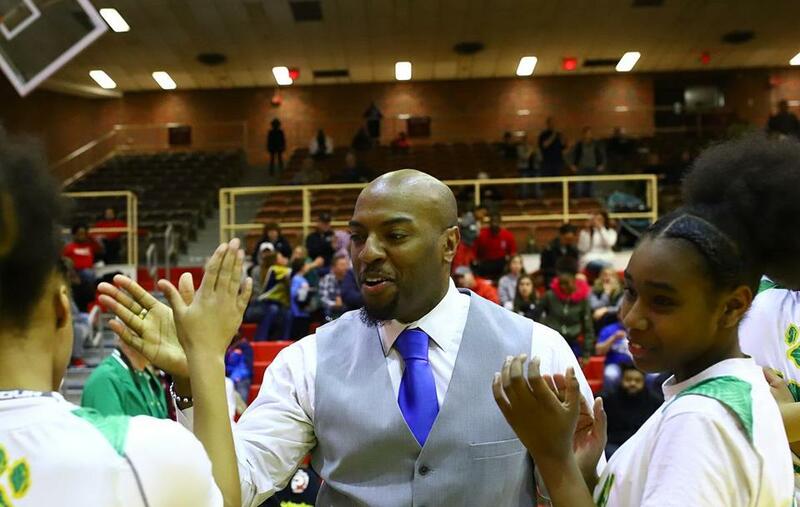 Cathedral coach Clinton Lassiter celebrates with his players after their dominating win over Hopkins. HOPKINS — Samantha Jenks 5 2 14, Thea Hanscom 2 2 8, Allison Kowal Safron 2 0 5, AJ Mitchell 2 0 4, Gabriella Palmisano 1 1 3, Hailey Boisvert 1 0 2. Totals 13 5 36. CATHEDRAL — Amani Boston 5 3 17, Mackenzie Daleba 5 0 10, Sophia Fontaine 5 0 10, Kaiya Duverna 3 2 8, Dejah Jenkins 2 2 7, Tayla Barros 3 0 6, Ciana Gibson 2 0 5, Kiara Ansley 1 0 2. Totals 26 7 65. 3-point goals: H Samantha Jenks 2, Thea Hanscom 2, Allison Kowal Safron; C Amani Boston 4, Dejah Jenkins, Ciana Gibson.